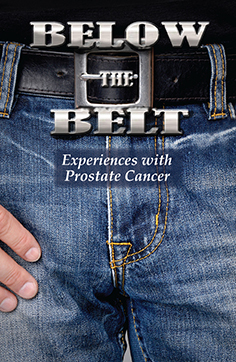 Below the Belt: Experiences with Prostate Cancer is filled with stories and poetry from those who have been courageous enough to share their experiences – a library of information that is educational, but also shows the importance of seeking support, of opening up to reveal that it’s not a fight that need be undertaken alone. And that strength and resilience can come through sharing. The production of Below the Belt was proudly sponsored by Hire A Hubby. Five dollars from the sale of each book will go to the Prostate Cancer Foundation.